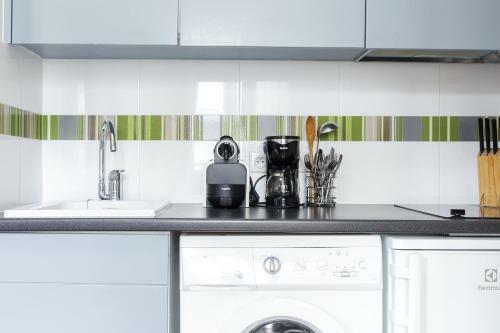 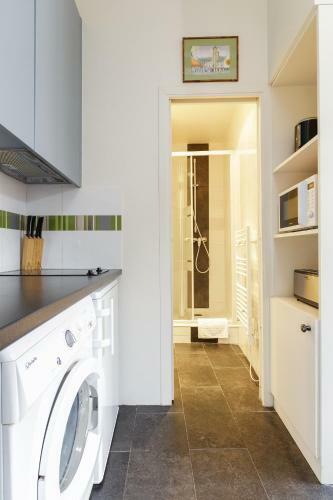 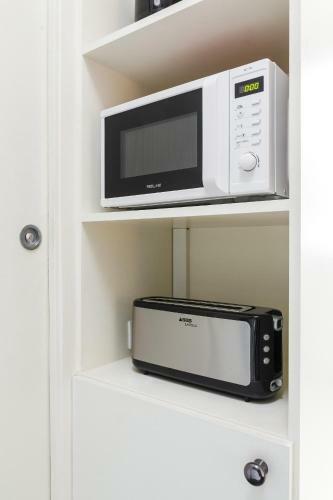 The fully equipped kitchen includes a microwave, coffee machine, electric kettle and toaster. 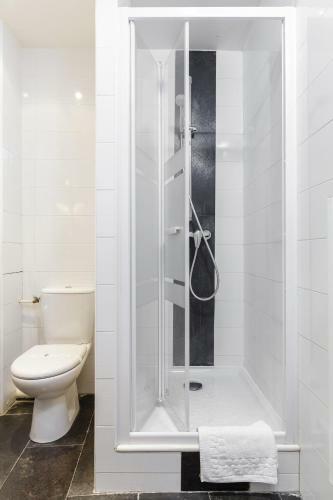 The bathroom is fitted with free toiletries and hairdryer. 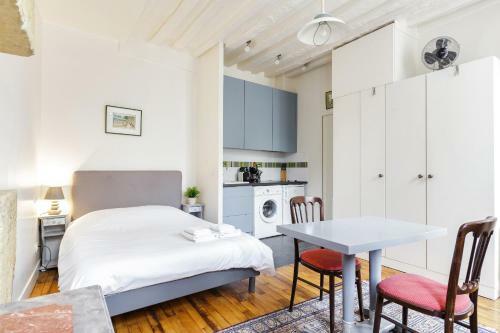 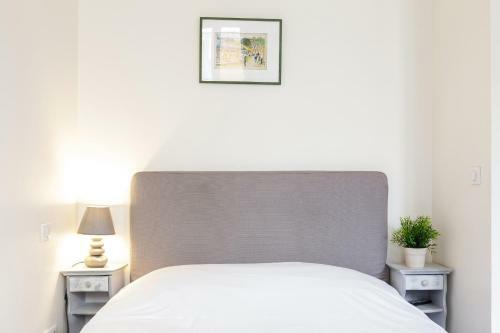 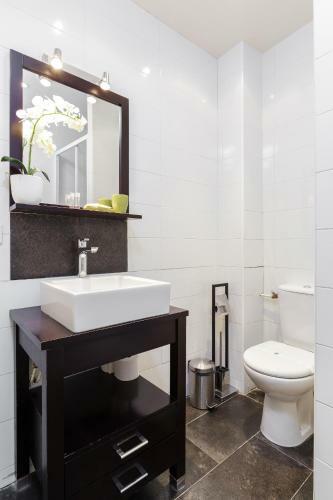 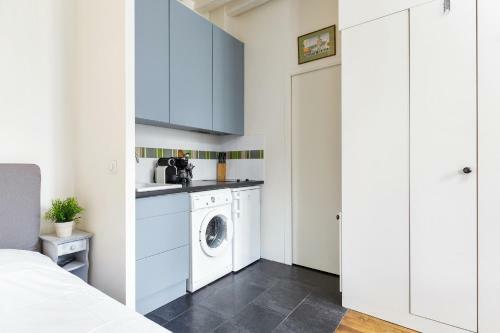 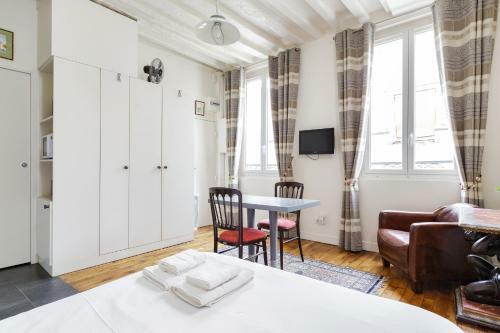 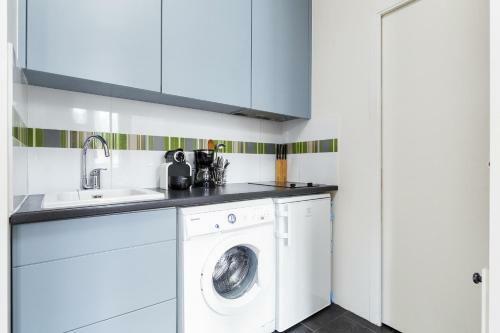 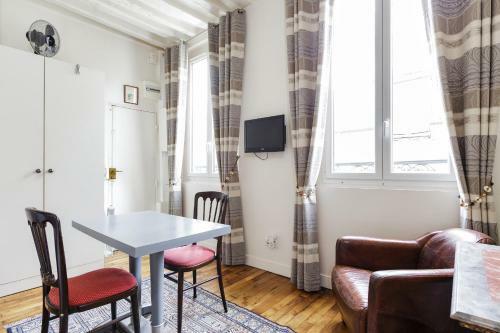 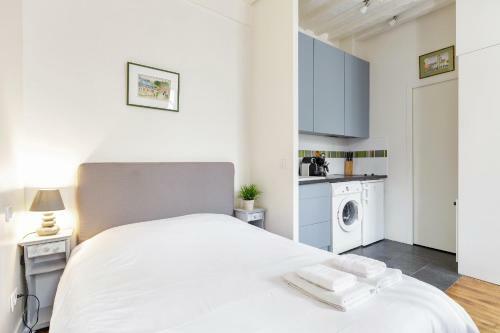 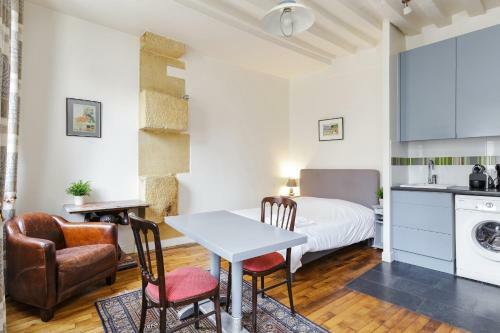 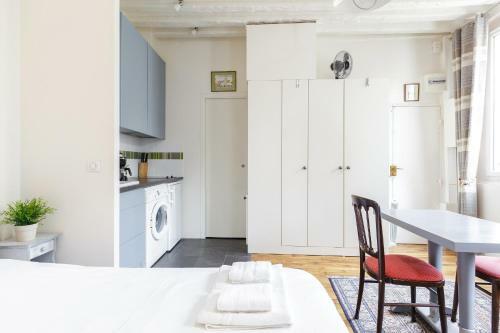 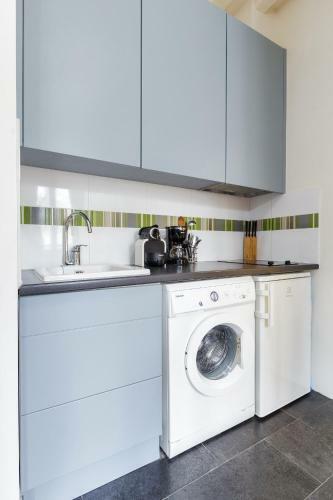 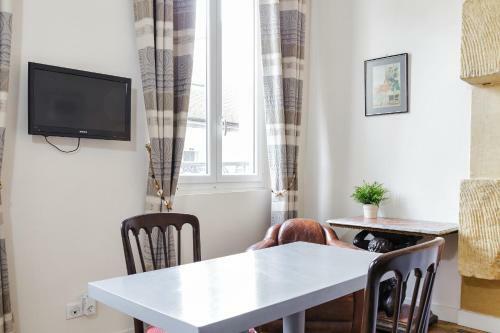 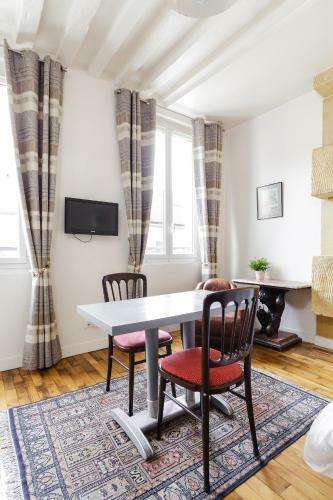 Opening onto a pedestrian area with shops and restaurants, Appartement Blanc et Gris is also provided with ironing facilities and a vacuum cleaner. 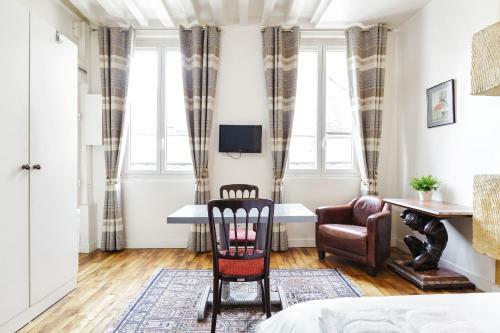 Place de la République is a 10-minute walk away and Notre Dame Cathedral is 1.5 km away. 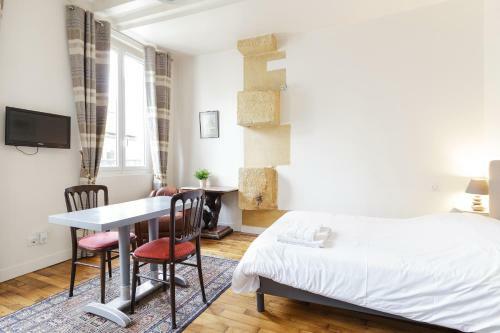 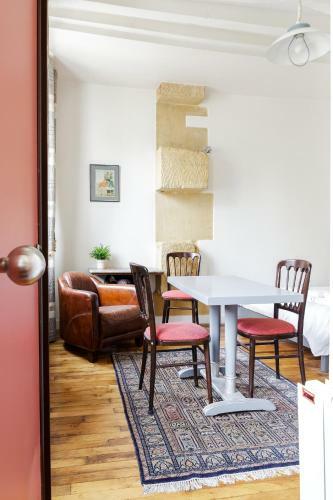 Les Halles Shopping Centre is a 13-minute walk away and Gare de Lyon is a 20-minute drive away.